Rick Smith, FACI is President, a Senior Consultant and a well-known industry leader concerning slabs-on-ground, suspended slabs and pavements. Rick has developed innovative designs related to the construction, maintenance, repair and polishing of slabs. He has pioneered solutions for mitigating issues with “sweating slabs”, along with developing methods for continuous digital monitoring. His contributions to the concrete industry were recognized by Concrete Construction magazine, and he was selected as one of the most influential people in the concrete industry. Rick was also selected to be a Fellow of the American Concrete Institute (ACI). He has published articles concerning slabs in Concrete Construction and Concrete International, along with papers for several international concrete and shotcrete symposiums. Rick is a regular speaker at the World of Concrete, the ACI Continuing Education Program, and other forums where he has prepared and delivered over 150 educational seminars in the past 15 years. He has presented other seminars on a wide range of topics domestically and internationally on five continents. His seminars topics include the construction, maintenance and repair of industrial slabs, sweating slab syndrome, integral colored slabs, ground, dyed, and polished concrete floor systems. Rick graduated from Oklahoma State University in 1987 with a Bachelor of Science degree in Construction Management Technology. He has over 30 years of experience in the design, materials, construction, and evaluation of high performance concrete floors and pavements. As Engineering Services Manager for a leading steel and polymer fiber manufacturer, Rick focused on the advancement of fiber reinforced concrete in numerous applications, including industrial floor slabs, bonded and un-bonded overlays, suspended slab construction, pavements, bridge deck overlays, impact and blast resistant concrete, fiber reinforced shotcrete for tunnels, rock and ground support, precast products and various other fiber applications. During his tenure in the fiber business, Rick was in charge of multiple R & D programs at many of the top concrete research universities and independent test laboratories in the world. 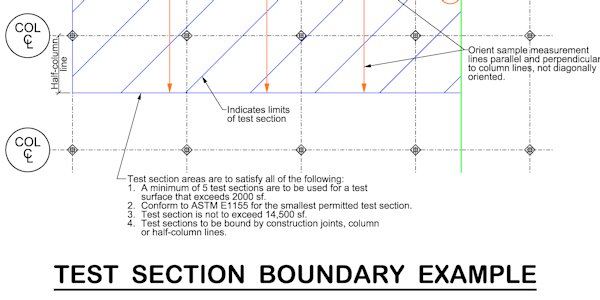 Rick routinely performs drawing, specification and concrete mix design reviews, conducts preslab construction meetings, and evaluates existing slabs and pavements for clients. He evaluates tens of millions of square feet of industrial slabs and pavements each year throughout North and South America & Asia. Rick is an expert in the use of floor surface measuring devices to evaluate curling and load transfer at joints, impact echo to assess slab thickness, abrasion rigs to evaluate the durability of the wearing surface, gloss and distinctness of image meters to measure sheen and clarity of polished concrete surfaces, internal and external relative humidity, dew point, ambient and surface temperature instruments to measure and diagnose moisture related issues in conditioned and non-conditioned buildings. He is proficient in several computer modeling programs such as AIRPAVE, and HIPERPAV used to evaluate the effect of concrete mixture materials and the environment on cracking, concrete set times, etc. and many other slab thickness and concrete material software programs. 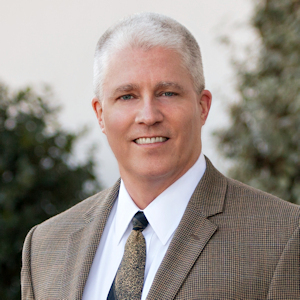 Rick joined SSI in 2000 and because of his leadership and management abilities, the partners chose him to be the President in 2013. 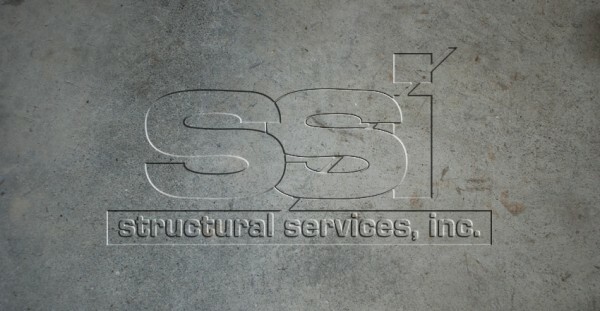 He manages the daily activities of SSI, which is involved in more than 100,000,000-SF of floor slabs and pavements annually for industrial, commercial, retail, institutional, government, and military projects in the U.S. and in other countries. Rick is Chair of ACI Committee 302 Construction of Concrete Floors and a member of ACI Committee 360 Design of Slabs-on-Ground. He is a member of the International Concrete Repair Institute (ICRI) and a Certified Moisture Technician by ICRI. Rick is also a member of the American Concrete Pavement Association and the American Society for Testing and Materials. 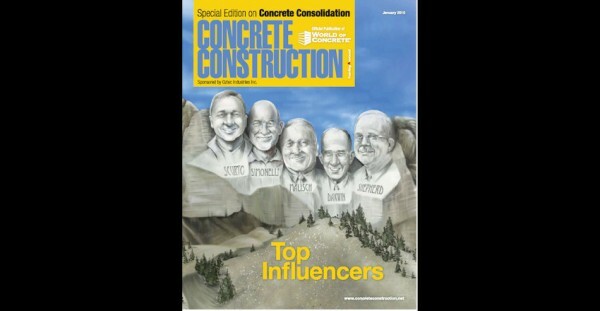 "Don't Let a Reentrant Corner Crack Ruin Your Image", Concrete Construction, January 2009 - Contact Rick Smith, FACI for article or more information. "Rehabilitating Industrial Floors With SFRC Overlays", Concrete International, June 1, 1996 - Contact Rick Smith, FACI for article or more information.